I found this article today, written by Michael Romaine, a former volunteer with Tutor/Mentor Connection. It's title is "After school, opportunity gaps linger". I'm quoted in the article and hope to see more people writing similar articles focusing on other high poverty neighborhoods in the Chicago region. 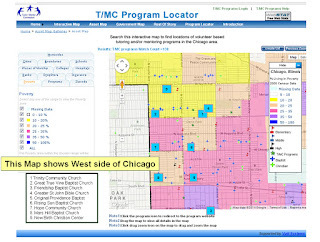 The map below is from a story I wrote on October 18, showing how organizations in Austin and other neighborhoods could help collect information showing what non-school programs are available. We need more people collecting this information. We also need more people like Michael who are writing stories that draw attention to the information. Michael and I had met on September 25. However, I did not know he wrote this story. I actually found it while browsing the AfterschoolMatters web site. 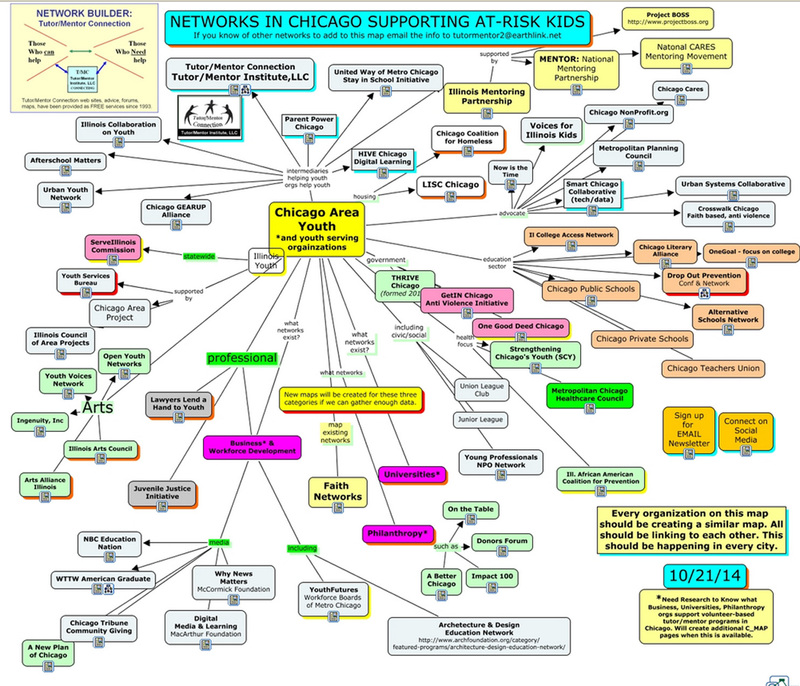 I was doing that while refreshing my understanding of work done by various intermediaries who focus on Chicago youth. 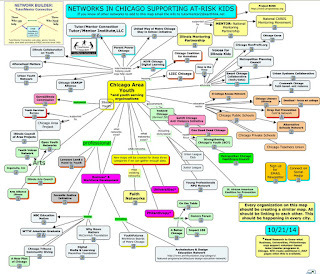 This concept map was my guide. 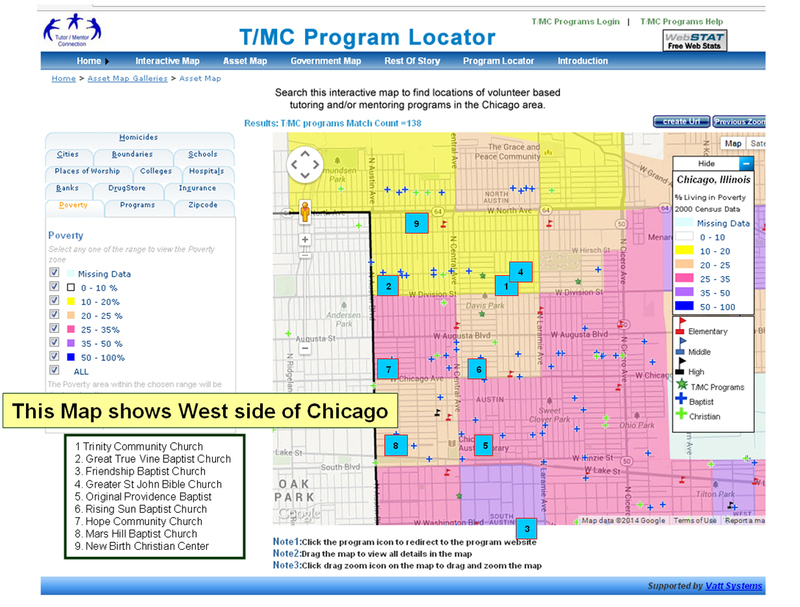 It includes links to each of the organizations shown on the map. I keep looking for people to help me collect and share this information, including sponsors who would put their logo on my concept maps, or PDF articles, while providing me with funds to do this work. Connect with me if you're interested.